From the latest AV test done by AV-Test, the independent IT-security Institute, Microsoft’s own security product for home users failed to gain the Anti-Virus Certification, along with 2 other products, AhnLab V3 Internet Security 8.0 and PC Tools Internet Security 2012. A pretty bad news for the still relatively new but highly regarded free anti-malware product from Microsoft. 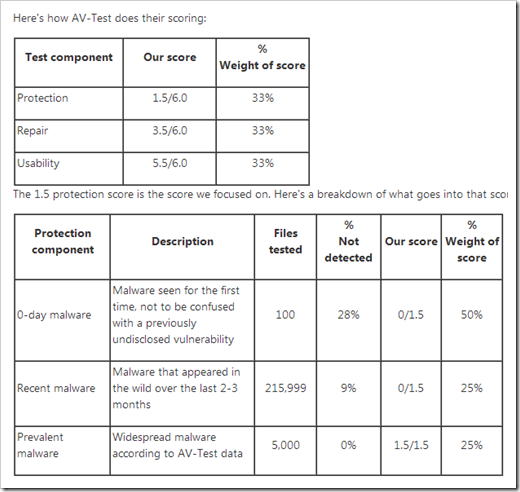 According to the detail report explained on AV-Test, Microsoft Security Essential scored very poor in both Protection and Repair category but did well in Usability. It did especially bad in protection against 0-day malware attacks and the detection of the recently discovered malware, which lead to a disappointing 1.5 score out of 6.0. During the test, our products didn’t detect 28 of the 0-day malware samples, and 9 percent of the recent malware samples. 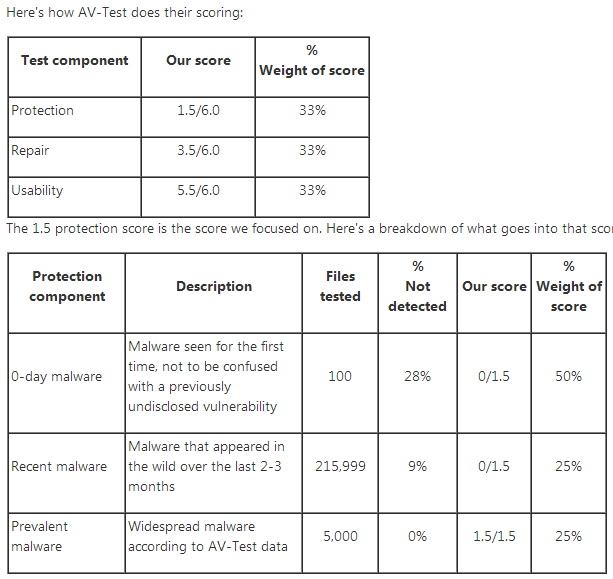 AV-Test uses a minimum bar in their scoring: our results for these two areas fell under that bar. The missed samples in both of these sections were where we focused our analysis, as we wanted to ensure we weren’t missing anything impactful to our customers. According to its own analysis, the conclusion is that the missed and failed sample files affects roughly 0.0033 percent of its customers. The percent is small but the total amount of machines that have the potentials got hit is still noticeable, according to how many Windows 7 machines are deployed over the world. Even though Microsoft has its own point of view, still it understands how valuable and important these industry test is to its customers, and committed to reducing that 0.0033 percent margin to zero. Good information. now i discussing about..Is Windows 7 still vulnerable to Viruses?